Welcome to Made of Lines, Love Edition. I know that it’s been a while since I’ve posted, but that doesn’t mean I don’t love you Baby. Now, I know you’ve been hurt before, but I’m here to make it all better. Let’s fill that hole in your heart with A FREE PRINTABLE VALENTINE created by Yours Truly. Printing tip: I set my printer to borderless printing and the cards turned out great. I used Avery Note Cards, but you can use whatever paper you have around. Cardstock or photopapers would be best. All you have to do is print and cut that beautiful baby down the middle. Bingo-bango! 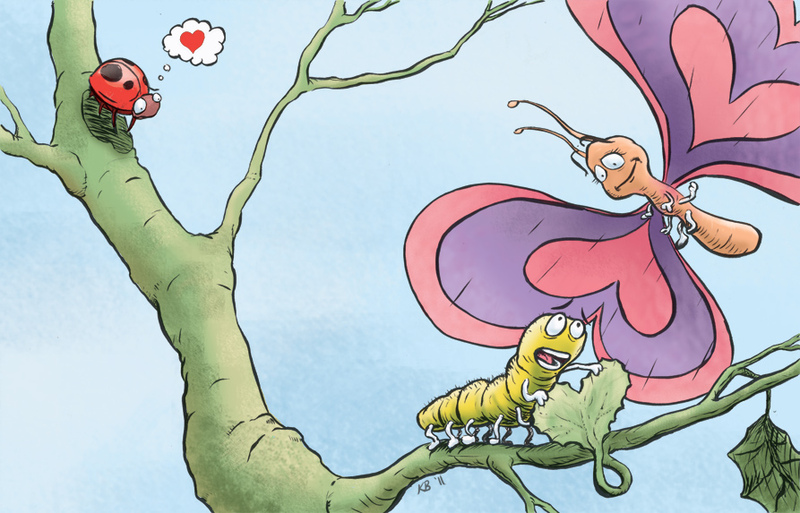 You now have 2 copies of the cutest little Valentine to come out this year. * I included the interior for those who would like it, but I recommend using the inside to write a special message for your sweetie. Something along the lines of, “I know you aren’t into flowers so I got you a card with bugs on it.” Awww yeah! It’s business time. This card is more than a year in the making. 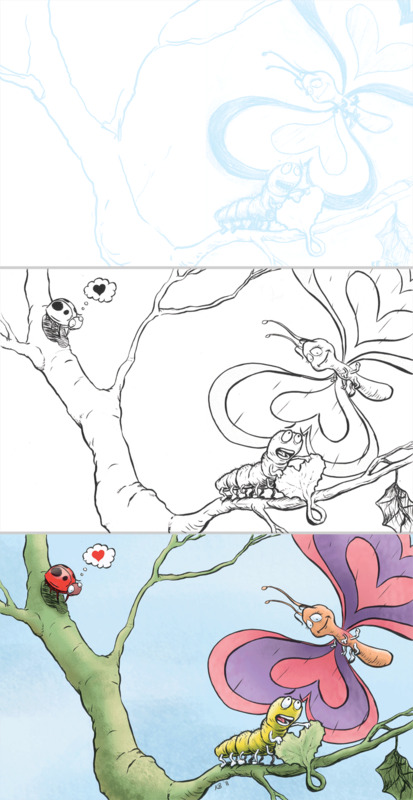 I created the original pencil sketch as a Valentine for my lady last year (she being of the flower hating/bug loving majority). I like the concept, but I wanted to take it further. 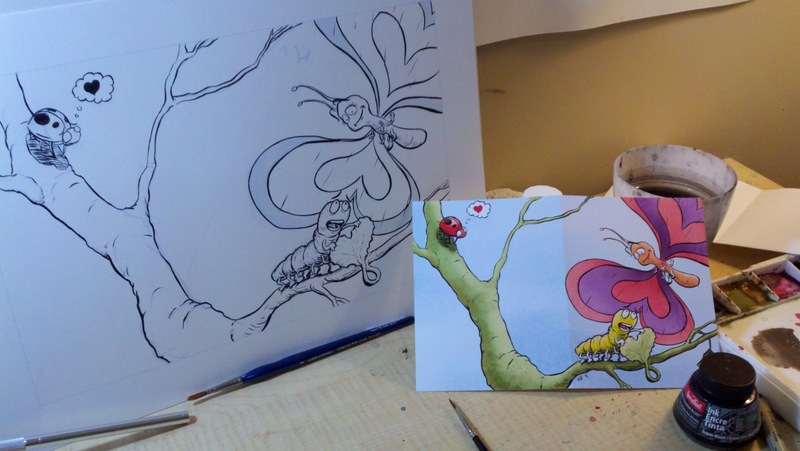 This year I stretched out the image so that the card would have a continuous front and back. I printed this sketch in light blue (20% cyan for you art nerds – leave a message if you want more info on this). I then inked over my light blue print. I rescanned the image, removed the light blue lines, and colored the whole thing in Photoshop.